We are expectant for divine blessing on our congregation this weekend at First! Hope you can be a part. Here’s a look ahead to what’s on the docket. 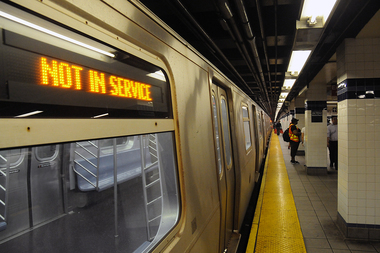 There will be no 1 train service this weekend. The uptown 2 and 3 will run local from Chambers Street to 96th Street, but the downtown 2 and 3 will not stop at 79th Street. For those coming from midtown, downtown, Brooklyn, or Queens: take or transfer to the uptown 2 or 3 train. For those coming from uptown or the Bronx: take either the downtown A to 59th Street/Columbus Circle or the downtown 2 or 3 train to 72nd Street, then transfer to an uptown 2 or 3. For those coming from Riverdale: take the shuttle bus from your regular 1 train stop to 207th Street where you can pick up the downtown A train. The sermon text will be 1 Thessalonians 1​. Trinity Grace Westside is hosting an open prayer meeting in our building next Friday, February 26 from 6pm until midnight, and our congregation is invited to attend. Come for whatever part of that night works for you, and join in prayer to God for an outpouring of His Spirit on our neighborhood. We are making plans for our next New Members Class. If you are interested in participating, please email Daniel Koo at​ ​info at firstnyc dot org. ​​Chrisanne Kusmarski is updating our database of members’ birthdays. Could you please help? Just look for her after the service to make sure that we have your correct information. And don’t worry—you don’t have to share your birth year. ​Looking forward to seeing you Sunday! This entry was posted in Weekend Announcements and tagged Annual Meeting, Congregational Meeting, First Baptist NYC, Membership, Prayer, Sunday school, Weekend Announcements, Worship. Bookmark the permalink.